I have been exclusively mandated to search for a Head of ALM & Investment Risk for an acquisitive and entrepreneurial Life Insurance/Investment firm. 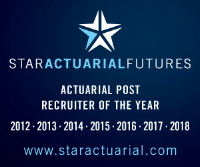 In this newly created role - you will report to the Group CRO and have exposure to a wide range of Life Insurance products and asset classes. You will also work very closely with the deal teams (M&A and Reinsurance) and you will have the opportunity to build a team. Private Credit experience is key - CLO’s; Lending (mid-market); Mortgage Loans; Emerging Market Debt and Real Assets experience. This is one of the best career opportunities to come up in the market and these greenfield opportunity are rare. It is not too often that you are able create something in line with your vision in a very fast paced and highly rewarding environment. The successful individual will have superb technical, commercial and relationship building skills. Hard work, ambition and resilience are a must. Please apply now or contact Patrick Flanagan on 07826 546 069 for further details.